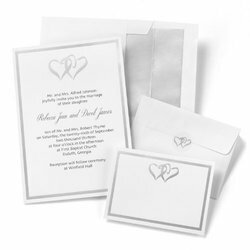 We are the service provider of Wedding Cards Printing. Driven by technically advanced facilities at our ultra-modern infrastructure, we are presenting an extensive array of Art Coffee Table Books Printing Services. In order to furnish the desires of our clients in the best possible manner, we spend some time with our clients to comprehend their demands and desires. The techniques and tools used by or executives for delivering these services are up to date and are updated from time to time. Personalised Wedding Cards are best ways to Express love, Here all things of stationary can be personalised including Wedding Cards. 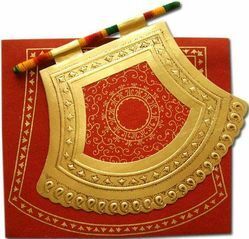 We are Wedding Cards Manufacturers and Wedding Exporter providing Wedding Cards Printing Service, Personalized Wedding Cards, Personalized Invitation Cards. 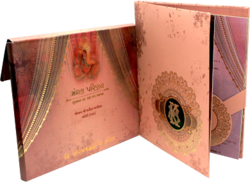 We specialize in all sort of Wedding Cards, Wedding Cards Box, Wedding Album, Wedding Album Photo Books, Wedding Bags, Wedding Envelope. 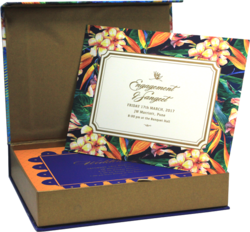 Reach us for all sorts of Premium Wedding Cards and Premium Wedding Invitations. We also make Custom Wedding Cards, Marriage Invitation Card, Designer Wedding Cards and Premium Wedding Card as per your exact. We bring forth our vast industrial experience and expertise in this business, instrumental in providing Unique Wedding Cards. 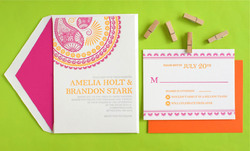 We do all types of Innovative Wedding Cards, Including Design to Finishing. 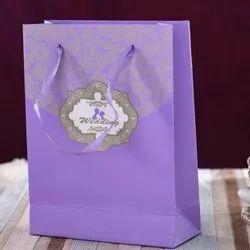 We are deal in this Wedding Card Carry Bag.